The beauty and sound of great tone wood needs the right treatment to really shine, with the Faith High Gloss models that is taken quite lite.. 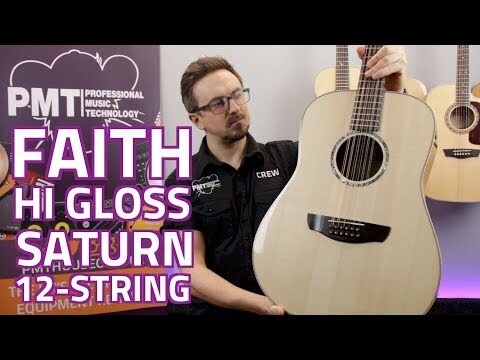 The beauty and sound of great tone wood needs the right treatment to really shine, with the Faith High Gloss models that is taken quite literally with a finish that accentuates the natural look. Use of spruce and rosewood helps create a defined mid range sound for this guitar, with an almost vocal quality that helps define your picking parts while still offering a rich resonance for chorus strumming.